(MENAFN - NewsIn.Asia) Male, February 12 (newsin.asia): Dr.Abdulla Khaleel, the Secretary General of the Maldivian ruling party, Progressive Party of Maldives (PPM), has said that in his statement on the situation in the Maldives dated February 8, the former UN Secretary General, Kofi Annan, appears to have gone entirely by the distorted version of the events plied by the opposition parties. 'Grossly misinterpreting the facts on the ground, Kofi Annan's statement regurgitated the country's opposition parties' fabricated narrative,' Khaleel said. 'Annan's selective reference to the sequence of events and facts related to the Constitutional crisis in the country discredits the former Secretary-General's expressed concern and aligns his statements with those who would use corruption to undermine the democratic foundations of the Maldives' Constitution,' Khaleel said. 'The nullification of the Judicial Services Commission by the Supreme Court inherently undermined the separation of powers enshrined in the Constitution. The ruling was not merely an interpretation of the Constitution, but a blatant negation of its Articles. It was an attack on the democratic foundations of the Constitution,' Khaleel pointed out. 'The ruling inherently violated basic norms and principles in law that is accepted around the world,' Khaleel argued. 'When credible evidence came to light that the Chief Justice and another Judge were being furnished with millions of US dollars by members of the opposition, there was a renewed effort to engage with the Judiciary,' Khaleel recalled.
' In spite of numerous attempts by the Attorney General, Prosecutor General, and members of the Executive to discuss with the Chief Justice their legal concerns with the ruling, the refusal to even entertain those concerns and determination to release felons convicted of serious crimes left the President with no choice if he was to safeguard the Constitution from excessive judicial over reach,' the PPM leader contended. Khaleel said that Annan's insistence that the rule of law is served by allowing the ruling to stand is wrong. 'His assertion that the Police force is subverted ignores the authority of the Home Minister and the Executive at large to determine the head of this civilian security force. 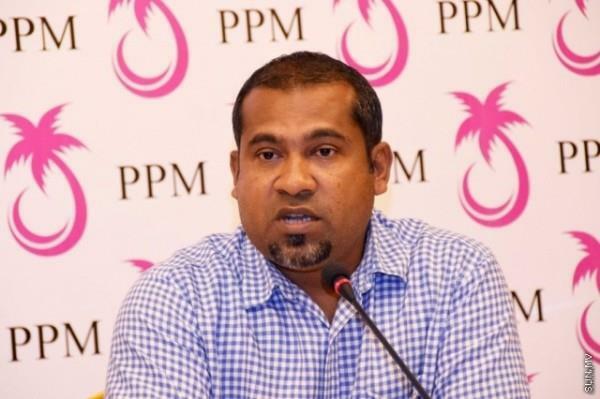 And his implication that a free, fair and credible election may be in jeopardy is ignorant,' the PPM leader asserted. 'The State of Emergency, enacted for 15 days, is inline with the Constitution of the Maldives. It does not impact freedom of moment, expression, media, or any aspect of daily life. It is only the institutions under investigation which are affected, and given the nature of the investigation, the future democratic prospects of the Maldivian people demand that the Constitutional crisis is approached head on,' he argued..
'Annan's interventionist attitude on this issue, does injustice to his legacy of support for multilateralism and the promotion and protection of international norms and standards on ensuring the rule of law and on human rights,' Khaleel said in conclusion.